At the grocery store this morning, I saw a huge display of gorgeous mangos. I thought, “Maybe I’ll make some mango salsa!” I turned and saw another display, but this time of avocados. Picture a giant lightbulb turning on above my head. Here’s the idea – Mangamole. Like many of my recipes, this should be customized to taste. If you like extra spicy, add some extra jalapeño. You may like more lime or salt. Taste, taste, taste and adjust accordingly. Cut avocados in half, remove the pit, and slice in crossed pattern. Scoop out the insides with a large spoon into a bowl and add the lime juice. 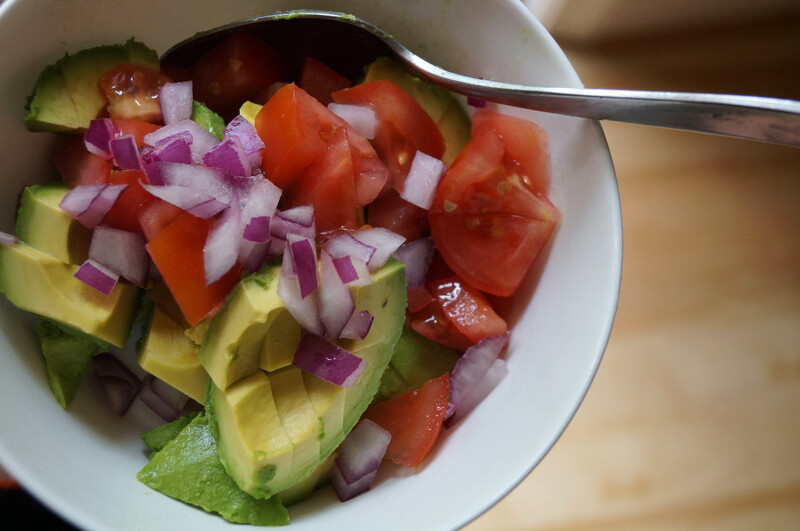 Dice the tomato and red onion and add to avocado mixture. Add salt and pepper and stir. Cut the jalapeño in half and remove seeds. 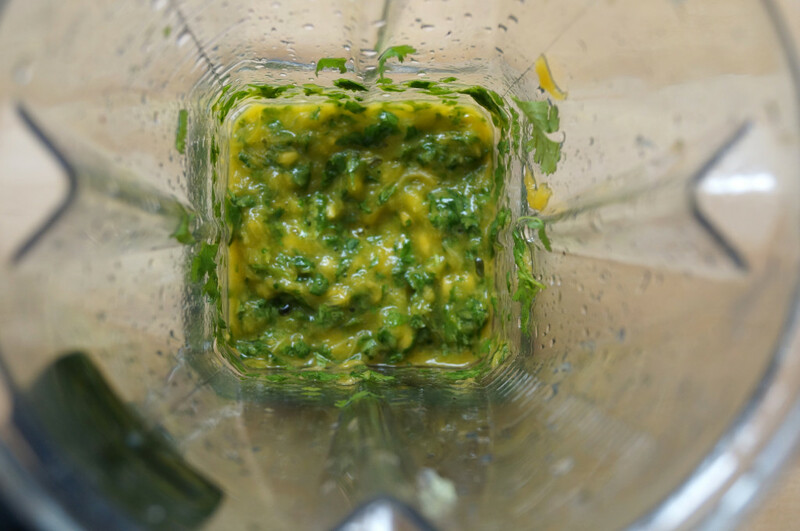 In your blender, pulse together the mango, 1/2 of the jalapeño, and a large handful of cilantro with the large stems removed. Pour over the avocado mixture. 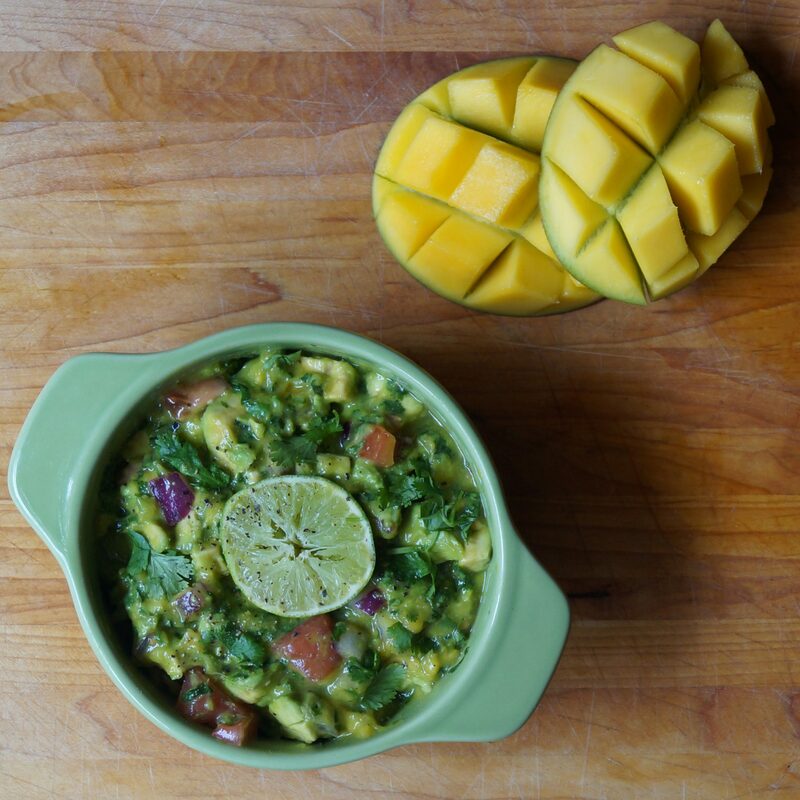 Garnish with cilantro and extra lime, and serve with tortilla chips and veggies.